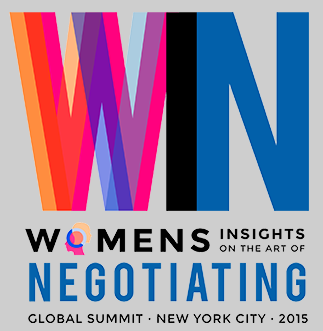 Presented by The Negotiation Institute, the 2015 WIN Summit brings together experts from around the world to share tested strategies and diverse perspectives on gender equality in the business world and how women in the workplace can harness their strengths, elevate their leadership skills, and advance their careers through the art of negotiation. Women negotiating in the business world encounter an array of both internal and context-based challenges. We invite you to join the world’s most influential women at the 2015 WIN Summit, where you’ll discover new ways to meet these challenges and get more of all the things you strive for.